In this recently issued magnificent image is ESA astronaut Thomas Pesquet descending underwater during spacewalk training at NASA’s Neutral Buoyancy Lab in Houston, USA. Training and support divers follow his movements. 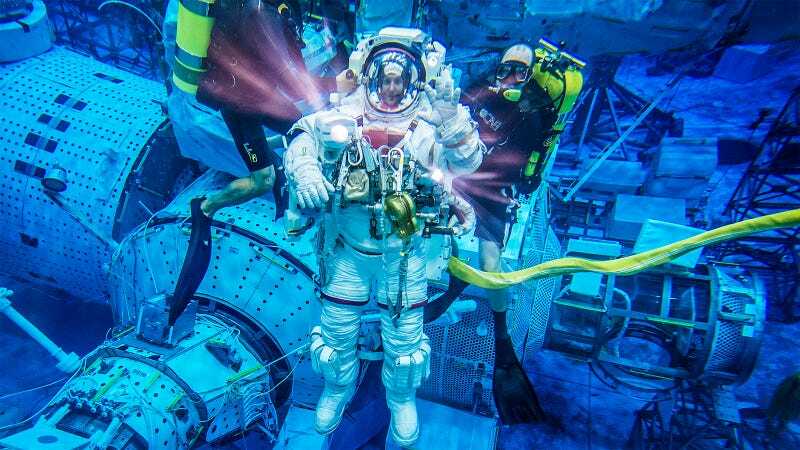 Training underwater on a life-size mockup of the Space Station is one way astronauts prepare for their mission. Floating underwater is one of the best ways train on Earth for weightlessness.